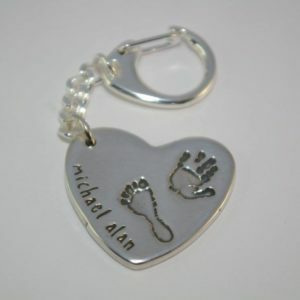 Your loved ones prints lovingly engraved onto beautiful keyrings. These beautiful keyrings make the perfect personalised gift for any occasion: birthday, wedding or anniversary. 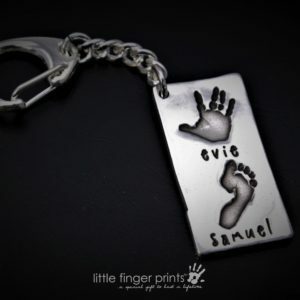 Your unique Handprint & Footprint Keyring will be crafted by our specialist designers within 3-7 days from receiving your prints. We can work with prints of any age, any size.